Exponentially grow with a step-by-step strategy! From core values and mindset to scripts and technology, booming businesses have common keys to success. Samantha Knoerr, chief operations officer to the Christy Buck Team with Infinity Real Estate Group in Texas, oversees every aspect of the team, including customer service and education. Knoerr is a REALTOR® and has been on the Christy Buck Team for 11 years. Joel Roberts, of the Joel Roberts Team with Keller Williams First Atlanta Realty, has developed and sold more than 1,100 homes totaling over $500 million. Roberts has 18 years of experience in real estate, and specializes in first-time homebuyers, investors, sellers and single-family. Moderator Cleve Gaddis, leader of one of Georgia’s top 10 real estate teams and coach with Workman Success Systems, has over 25 years of experience in sales. Gaddis is host of the “Call Cleve Atlanta Real Estate Show” on Talk Radio 640 WGST and Newstalk 1160. 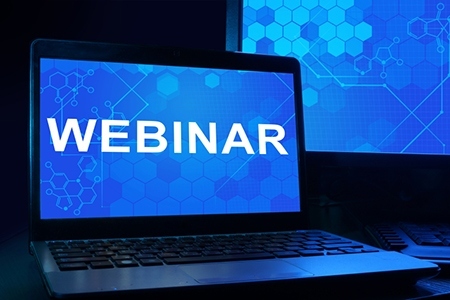 Each month, RISMedia’s webinars draw over 1,000 agents and brokers from across the country eager for exclusive insight from the industry’s most profitable professionals. To view our last webinar, “Leads: How to Make an Impression and Win,” please visit RISMedia’s Housecall.